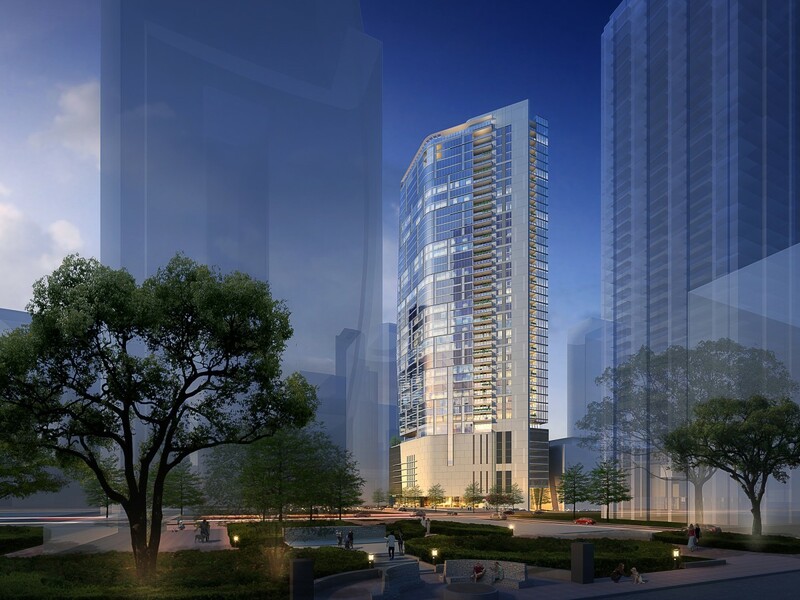 Houstonians who are looking to live the highest downtown high life won’t have to wait much longer. The highly anticipated residential project known as The Preston has finally broken ground. 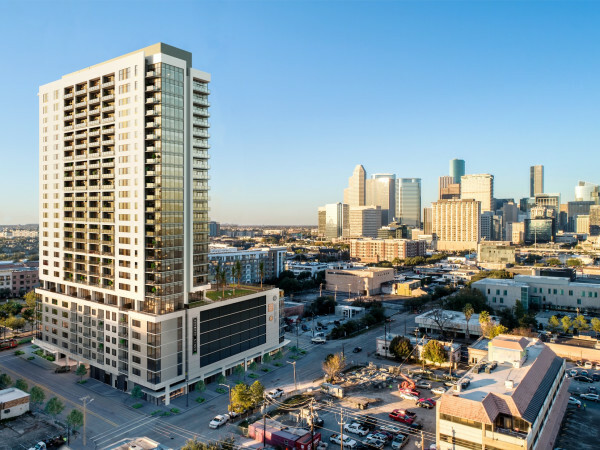 Boasting sweeping, panoramic views of the Central Business District, Market Square Park, Sesquicentennial Park, Buffalo Bayou, and even long views to The Heights area and beyond, The Preston will be downtown’s tallest residential community. 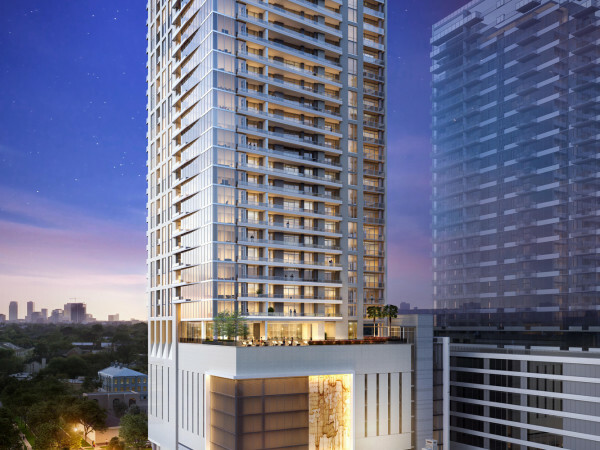 The 46-floor, luxury for-rent high-rise features 373 residences and is located on the site of the former Houston Chronicle parking garage, at the corner of Preston and Milam Streets. It neighbors Hines and Ivanhoé Cambridge’s 1-million-square-foot office tower, which is under construction at 800 Texas Ave. Thanks to its location between Market Square and the Arts District, The Preston boasts a WalkScore of 97, with more than 50 bars and restaurants, 40 million square feet of office space, and cultural institutions in the immediate vicinity. Hines-owned Aris Market Square’s Bravery Chef Hall, Coterie, and the eagerly anticipated Lyric Market are all within walking distance of The Preston. More than 50,000 square feet of retail is currently underway within one block of the project site. The project is the brainchild of Hines and investment partner Cresset-Diversified QOZ Fund and includes design partners Munoz + Albin, design architect; Mayfield and Ragni Studio, interior architect; TBG, landscape architect; and Harvey Builders, general contractor. 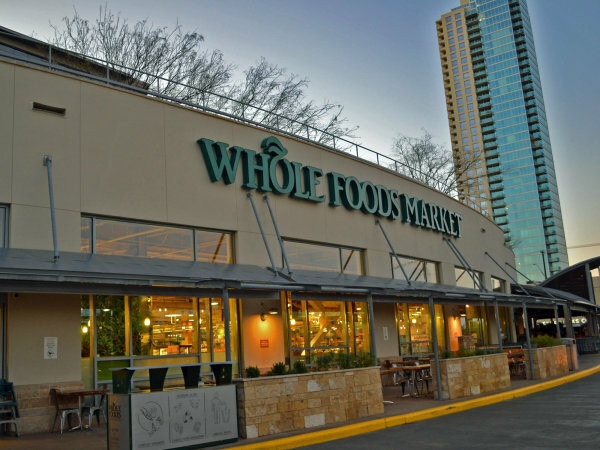 Jones Lang LaSalle provided construction financing and equity. Pre-leasing will begin October 2021; The Preston is slated for completion by the third quarter of 2022.